Transform your wardrobe to look like the ‘It girl’ of our time Kylie Jenner. 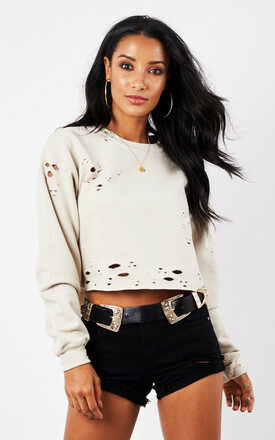 This original ripped cropped jumper will add instant style to any look in a subtle and wearable way. Each one unique and individual get a piece of your own haute couture! 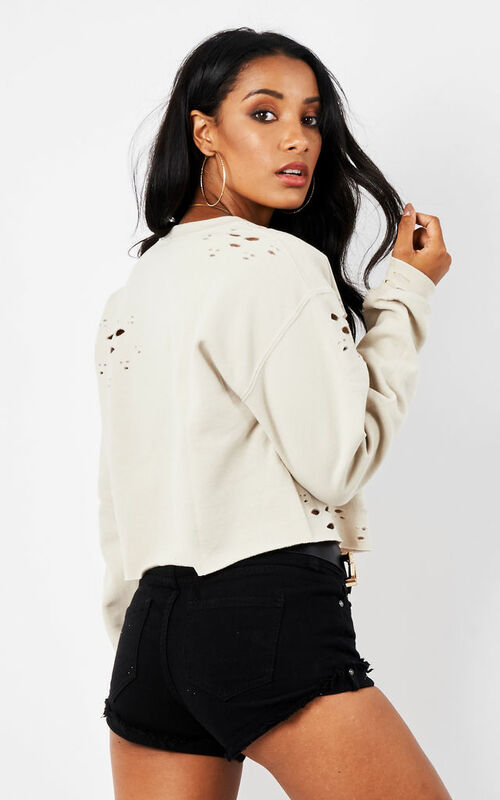 Made using our super soft baggy boyfriend jumper, the slouchy oversized fabric falls just right.